Who can resist this deep-fried goodness? 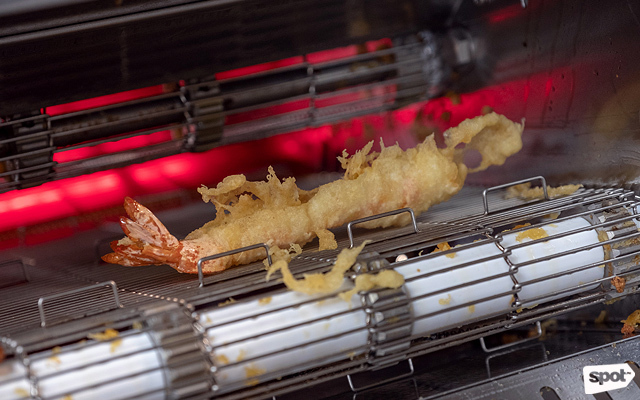 (SPOT.ph) High on the list of Japanese food that Filipinos love is ebi tempura, especially when the crisp and deep-fried prawn is resting on a heap of steaming hot rice. 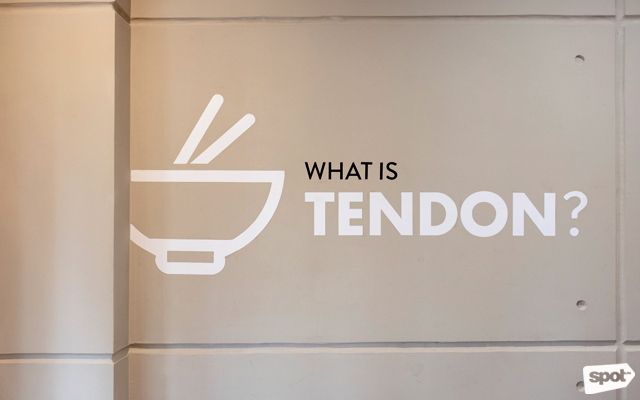 This happens to be the crowning glory of Tenya Tempura Tendon, which made quite the splash when they first brought their crowd-pleasing tendon to Manila nearly four years ago. 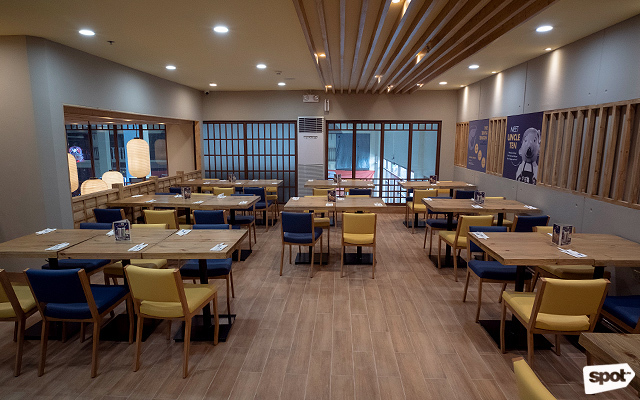 Now, they’ve opened their latest and biggest branch at Tiendesitas in Pasig City, with cheery yellow signs and two floors all decked out to receive hungry tempura enthusiasts. 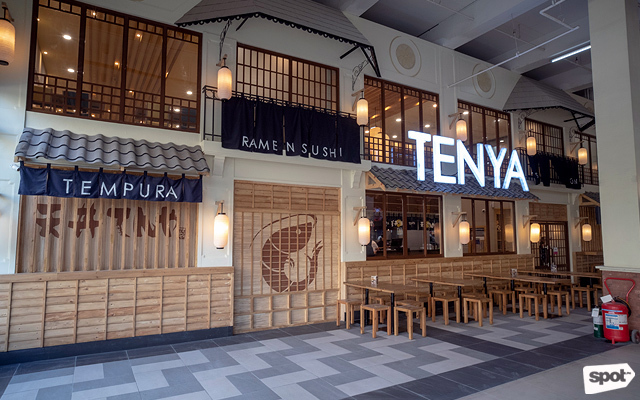 Like their mouthwatering rice bowls, the new branch is a sight in itself—high ceilings, a mix of modern and traditional Japanese furniture, and a cool façade that feels like you’re in a heritage town in Kyoto. 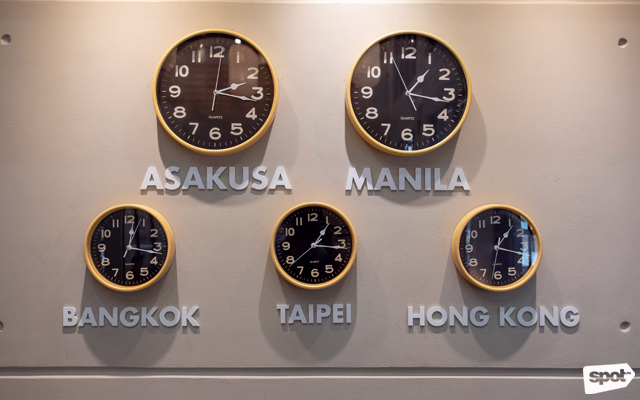 It’s safe to say this Tenya outpost isn’t afraid to stand out among its neighbors in the building. Tenya prides itself on being a near-similar replica of its predecessors, using ingredients and top-of-the-line machinery imported from Japan. 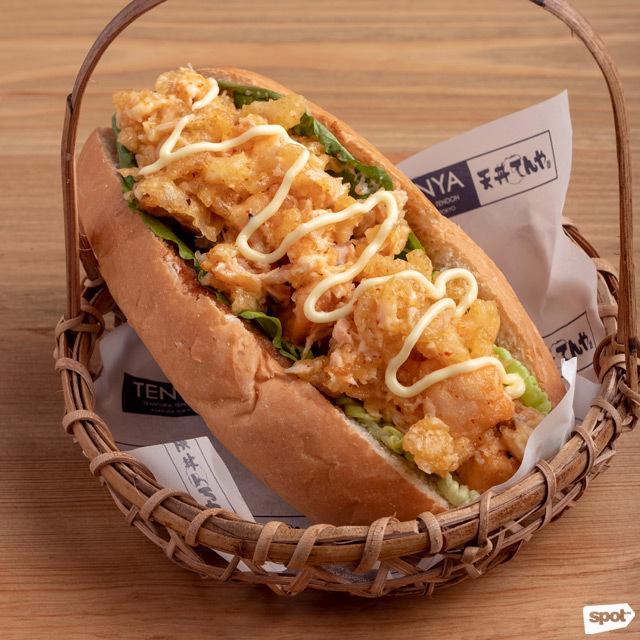 Even as tempura takes centerstage on their menu, Tenya has continued to evolve with the tastes of local diners by including hearty sandwiches, sushi rolls, and ramen, making it unique compared to its outposts in Japan, which exclusively serve tempura. The Asakusa Special Tendon is an ebi tempura overload! Slathered in Tenya’s sweet and thick signature dontare sauce are the best-selling bowls Asakusa Special Tendon (P325/regular, P355/large) and All-Star Tendon (P325/ regular, P355/large), both served with hearty miso soup. 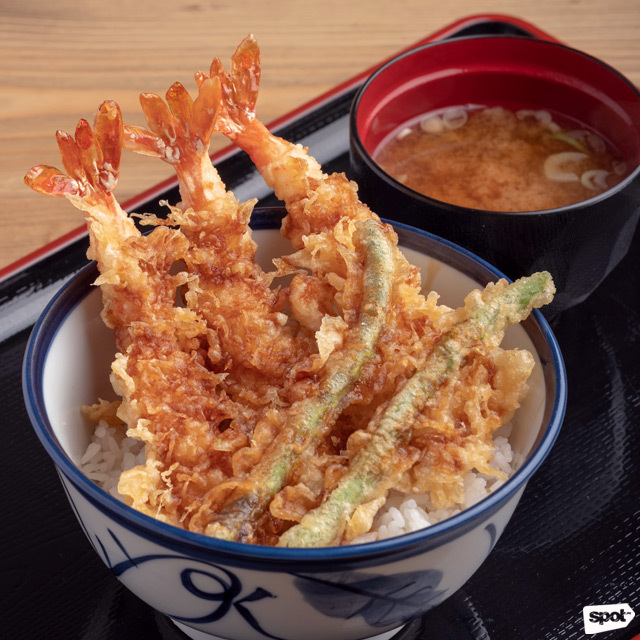 Depending on your mood, you may prefer to have more ebi tempura pieces with your tendon, or you could go for the seafood extravaganza that is the All-Star, which holds golden-crisp black tiger prawn, squid, salmon, kani sticks, green beans, and mushroom in one satisfying bowl. 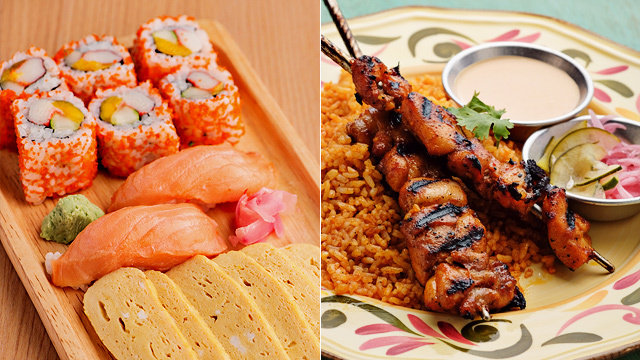 Either way, the dontare sauce trickling down the sticky Japanese rice is enough to keep you coming back for more. 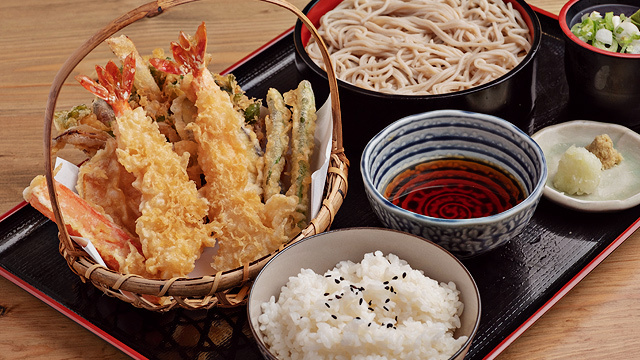 If you're looking for something that'll fill you up and is tasty, order the Jo Tempura. 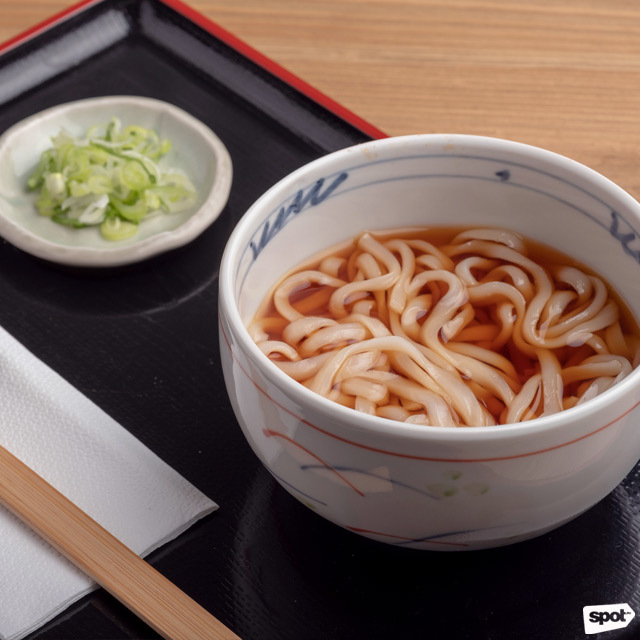 Apart from steaming hot rice, the set also comes with your choice of soba or udon. 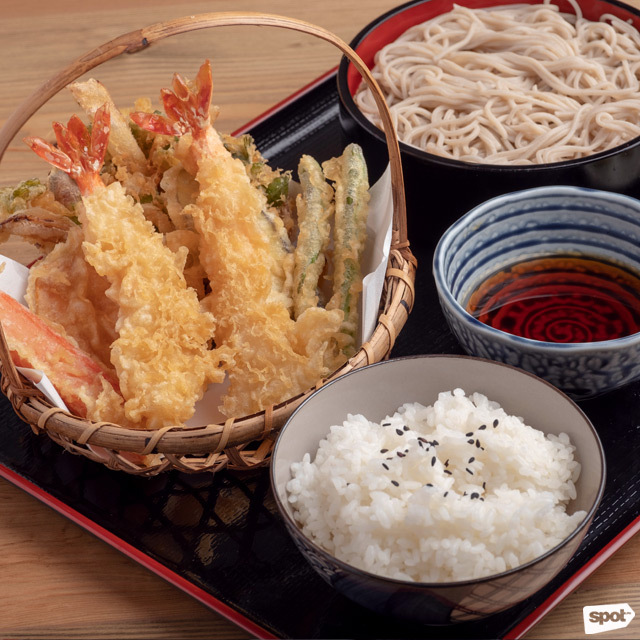 Alternatively, the Jo Tempura (P385) with Soba or Udon Teishoku lets you take your pick between thin and light soba or silky udon—either hot or cold—to accompany two black tiger prawns, Japanese rice, radish, leeks, and ginger. This is a great choice for noodle lovers; its freshly made pasta a blank canvas for the succulent and naturally sweet protein. Mix and match these salts to make the most out of your Tenya experience. Here’s a juicy tip: Request to have their salts served to your table, and then generously sprinkle them on your tempura. 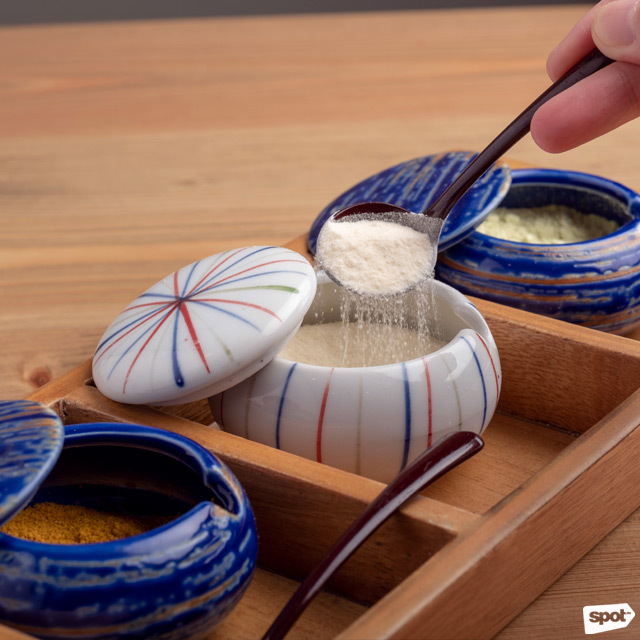 These salts, which come in three flavors—curry, lime, and wasabi—may be used as an alternative to the dipping sauce and can add a variety of flavors to the prawns. 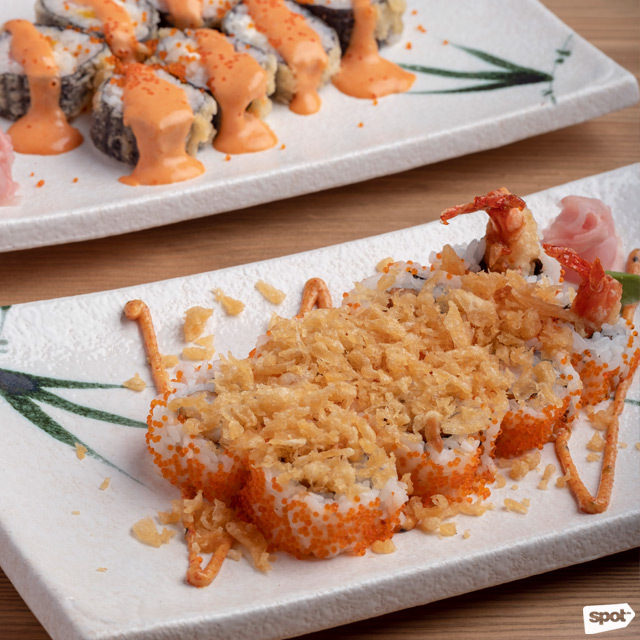 For an exciting crunch, go for the Ebi Tempura Maki (bottom). The Sriracha Tempura Maki (top), on the other hand, is for those who can't get enough of the popular hot sauce. Look at those crispy tempura bits! 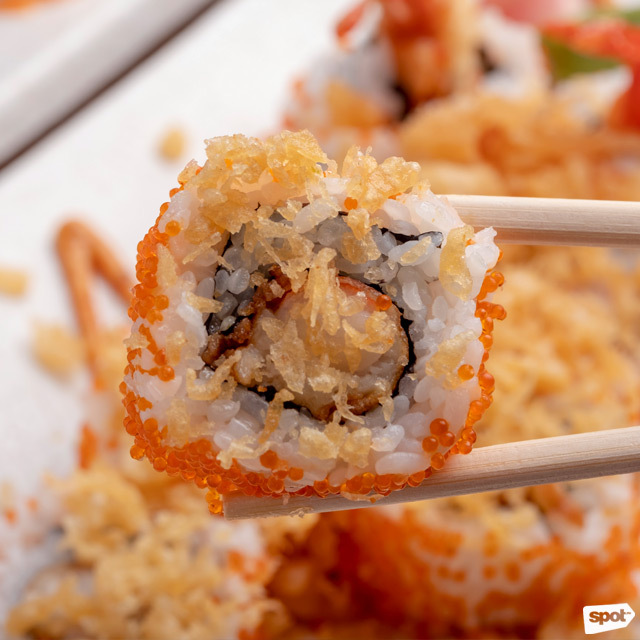 Meanwhile, if you like your maki with a spicy kick, you can go for the Ebi Tempura Maki (P325) where ebi tempura is rolled in tobiko and crowned with tempura crumbs, shichimi, and spicy Japanese mayonnaise—it’s an explosion of salty, spicy, and umami flavors in one bite. You can also go for the Sriracha Tempura Maki (P285), with a deep-fried, tempura-crusted maki filled with mango, kani, and cream cheese, and topped with Sriracha and tobiko in an inviting arrangement. 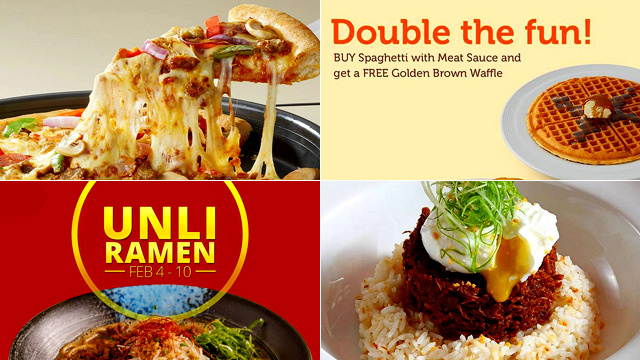 Spicy-food aficionados won’t be disappointed. You won't regret having this umami-rich spicy salmon sandwich. For those who are always on the go, or just feel like enjoying their fish in a bun, take a bite of the Spicy Salmon Sandwich (P145). The salmon is perfectly done to reveal a flaky texture and that distinctive fatty richness you could only have with the fish. 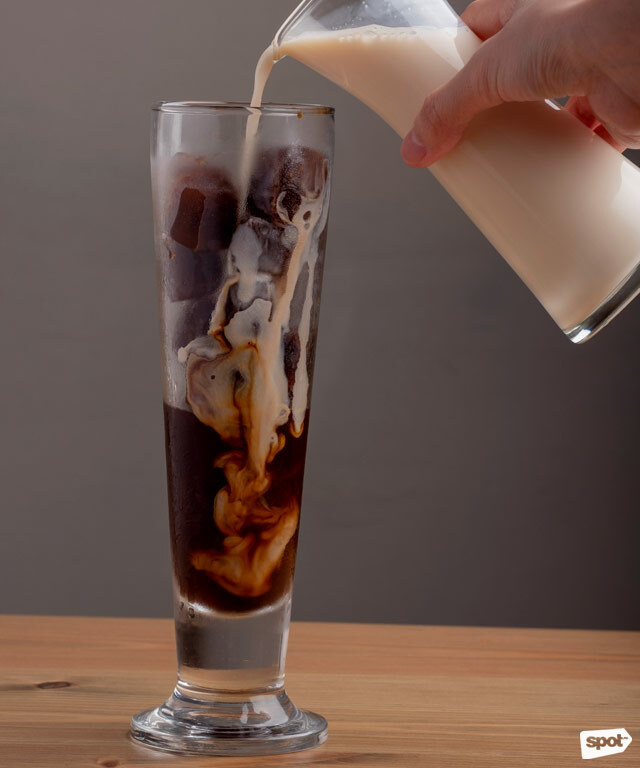 Cool down with a refreshing drink after your meal, like Tenya's Cold Brew (P115). 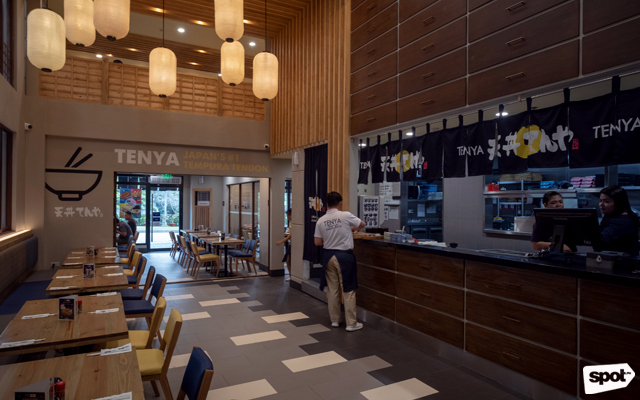 If you’ve ever rushed to be the first person at the ebi tempura station at a buffet, Tenya will remind you of the satisfying comfort of returning to constants as reliable as deep-fried prawns with rice.